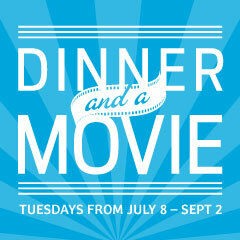 Make a night of the Chevron Summer Cinema Series with our new “Dinner and a Movie” promotion. 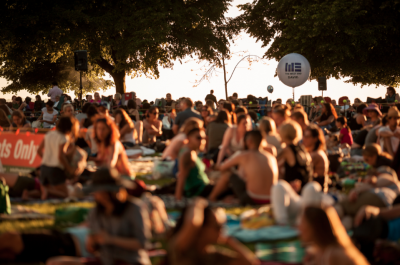 You can pre-purchase a 3-course meal with Yellow Pages VIP reserved seating at Ceperley Meadow (Second Beach) in Stanley Park on the movie night of your choice. Each Tuesday night movie will have a limited number of Adirondack seats available. Includes comfy blanket to keep and free popcorn. Dinner and a Movie tickets range from $40-60 each. Part of proceeds go towards the Vancouver Firefighters Charitable Society. For a complete list of movies, check out the Chevron Summer Cinema Series website. Want to win "Dinner and a Movie" next Tuesday night? Here's how! Since this is the last week of the Chevron Summer Cinema Series, we’re giving away two “Dinner And A Movie” packages, one to to Kingyo Izakaya ($60 value) and another to Buckstop ($45 value). Both prizes include a pair of Yellow Pages VIP seats to the final movie of the summer, The Princess Bride. Want to enter? Share this blog using the buttons below for your chance! We’ll announce two lucky winners Tuesday, September 2, 2014 at 10am.